Snowden reflects the best of heroic activism. He acted responsibly. He did the right thing. He committed no crimes. He knew the risks and took them. Few would do as much. Legions more are needed. Maybe he’ll inspire others to come forward. Today they’re more than ever needed. He sacrificed financial security, personal freedom and well-being. He did so to expose serious US high crimes. Potentially everyone’s harmed everywhere. Millions worldwide support him. Everyone should. On Friday, he met with representatives from 13 human rights organizations. He did so in Moscow’s Sheremetyevo Airport transit area. It was closed to the press. Doing so is illegal, he said. Core constitutional and international law provisions prohibit it. They don’t matter. He doesn’t seek enrichment. He didn’t sell US secrets to foreign governments. He exposed serious NSA wrongdoing. He committed no crime doing so. He’s a whistleblower in the best tradition of doing the right thing. He deserves high praise, not persecution. Washington’s making an example of him. Doing so warns others not to speak out as he did. He’s “stateless and hounded” for acting responsibly. US officials threatened countries supporting him. Rogue states operate this way. America’s by far the worst. Snowden’s a political refugee. According to international and constitutional law, he warrants asylum status. Full-court US pressure’s trying to deny him. On Friday, Obama called Vladimir Putin. A brief “readout” said the two leaders spoke. He lied saying Snowden “will be afforded full due process” if returned. He’s already declared guilty by accusation. He’ll be treated mercilessly like Bradley Manning. Human rights advocates condemned what amounts to torture. For his part, Putin earlier said he’ll not be extradited. Russia has no treaty obligation to do so. At her Friday press briefing, State Department spokesman Jennifer Psaki expressed “disappoint(ment) that Russian officials and agencies facilitated” Snowden’s airport meeting. Washington heavily pressured human rights organizations not to attend Snowden’s briefing. America’s Moscow ambassador Michael McFaul and/or other embassy officials did so. Psaki equivocated in response to Lee’s questions. She disingenuously stressed America’s support for free speech. “Except when it come to this,” said Lee. He very much got the best of the exchange. Perhaps Psaki won’t call on him again. Helen Thomas suffered the same fate earlier. Washington doesn’t countenance speaking truth to power. It wants its message alone heard. It wants reporters regurgitating it without challenge. Lee did what few others dare. He pressed Psaki responsibly. He did so with numerous questions. He refused to accept evasive answers. He acted responsibly for doing so. It won’t surprise if he’s punished. In May, AP revealed weeks of unjustifiable Justice Department spying. Telephone records of reporters and editors were secretly obtained. AP president/CEO Gary Pruitt called what happened a “massive and unprecedented intrusion.” He demanded all records gotten be returned. He wanted assurance all copies were destroyed. “There can be no possible justification for such an over-broad collection of the telephone communications of The Associated Press and its reporters,” he said. DOJ officials left unexplained why phone records were sought. Journalists and others are vulnerable to what AP experienced. America’s surveillance society is relentless. It’s all-embracing. He has plenty more information to reveal. “There are many more domestic stories coming, and big ones, and soon,” said Greenwald. “Given everything (he) know(s he’ll) be very shocked if” Snowden asks him to stop. He’ll “deal with that hypothetical only in the extremely unlikely event that it ever happened, but (he) can’t foresee anything that would or could stop (him) from further reporting on the NSA documents” he has. Hopefully we’ll know more soon. High crimes need exposure. Widespread public knowledge is essential. Responsible parties need to be held accountable. Snowden deserves universal support. Washington wants him silenced. It wants him hunted down ruthlessly. Hegemons operate this way. Ellsberg said had he known what Snowden revealed, he have done the same thing. He’d have committed responsible civil disobedience. It’s a noble US tradition. 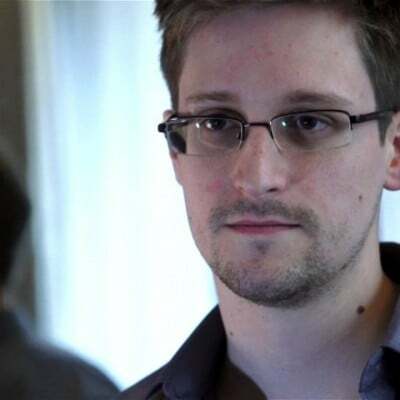 Snowden represents the best of modern-day whistleblowers. He took great risks. He’s gravely endangered. Escaping America’s long arm isn’t easy. As long as he’s free, he’ll be pursued relentlessly. Hopefully he’ll get his just reward. Safe haven asylum gives him a chance. John Bolton Rumored Israeli attack on Lebanon. Going After Hezbollah Donors?